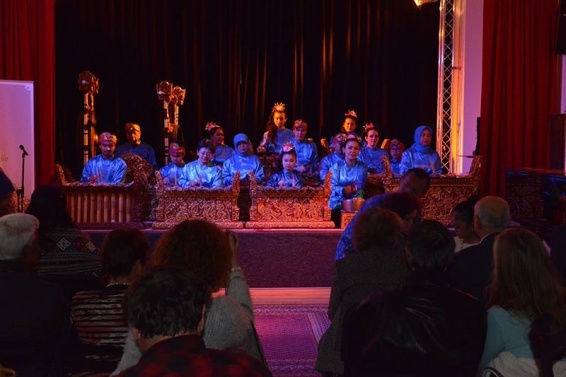 The House of Indonesian Culture in Berlin named “Rumah Budaya Indonesia” was officially reopened at the new location Francke-Straße 11, 12099 Berlin on Sunday, October 29, 2017 by the Ambassador of the Republic of Indonesia to the Federal Republic of Germany, H.E. Dr.-Ing. Fauzi Bowo. 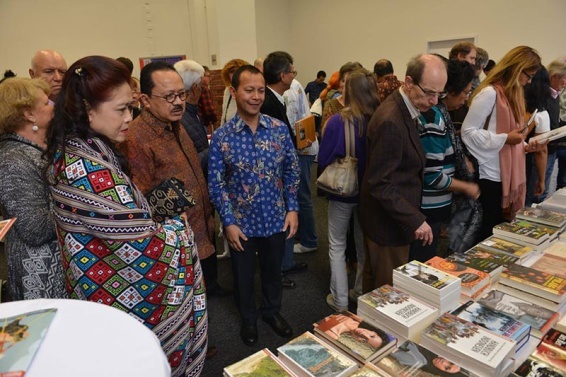 Rumah Budaya Indonesia in Berlin was first launched on May 26, 2012 and has been searching for its new base location for the last two years. In his speech, H.E. Amb. Bowo explained that the bilateral relations between Indonesia and Germany have been established since 1959 and have grown to become an outstanding partnership. 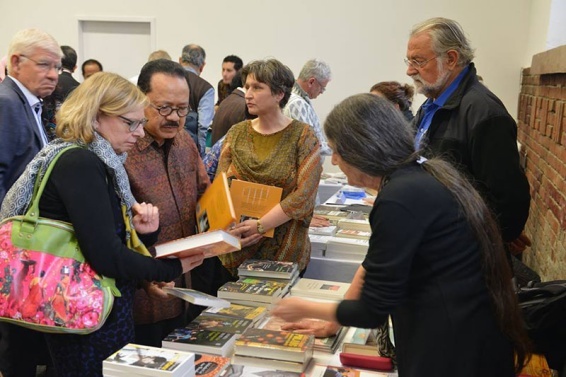 And in general, all the relations and cooperation in the field of culture have always been key pillars to Indonesian Diplomacy. The reopening ceremony of Rumah Budaya Indonesia attracted around 250 visitors who were looking for Indonesian colorful cultural performances. 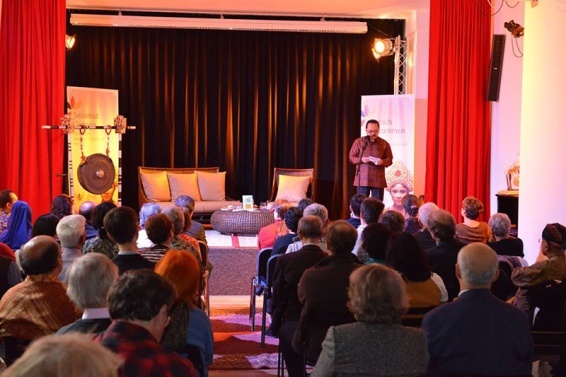 The program included, among others: a Book Review "Bagong On The Way On Kafka's Trail" by the Indonesian author, Triyanto Triwikromo; various performances of gamelan music from Java and Bali; Anklung music; Balinese dances "Joged Bumbung" and "Panyembrama"; Taganing music from Northern Sumatra, as well as modern shadow puppet theater, Played by El Gecko con Botas. Parallel to the cultural performances on stage were shadow puppets craft workshop, Indonesian book and literature showcase and Bahasa Indonesia language course. Rumah Budaya Indonesia Berlin, which is managed by the Embassy of the Republic of Indonesia in Berlin, is one among the 10 Indonesian cultural centers worldwide located in the United States, the Netherlands, Australia, Japan, South Korea, France, Singapore, Turkey and Timor Leste and serves as a dynamic and strategic place for Indonesian culture expression, Indonesian culture learning as well as Indonesian culture advocacy and promotion.